I cried when D proposed to me. In D's head, I assume our proposal that day was supposed to involve a beautiful summer's afternoon, walking along our favourite beach with ice creams, joking and laughing, until he dropped to one knee at our favourite spot. But after I refused to go to this first potential proposal location cause 'it was too hot and I'll get sunburnt', he came up with a backup plan. But it didn't take long till I unknowingly ruined his potential second opportunity, so there was nothing left but to ask the question where we stood - getting ready to go get Asian food for dinner. I was a bit dumbfounded in the moment, caught completely off-guard by a completely unfamiliar question in a too-familiar unromantic location. But as he explained to me what his original plan for the day was, I struggled to process. At first, I was a little bit embarrassed about our story. You would have thought after eight years together, that 'one moment' would have been something a bit more spectacular than being handed an engagement ring while I planned our night excursion to get noodles. But, original tears aside, it then became funnier and funnier to tell. Here we were, trying to get food, with me forgetting things and we running late to eat as usual. If anything, the "one moment" was a very "us" moment. But what's also nice about telling people my "how I ruined the proposal" story is that about eighty percent of people had their own "ruined" moments to share. Funny enough though, there was one common factor between most 'failed' proposal stories...the fiancee-to-be. 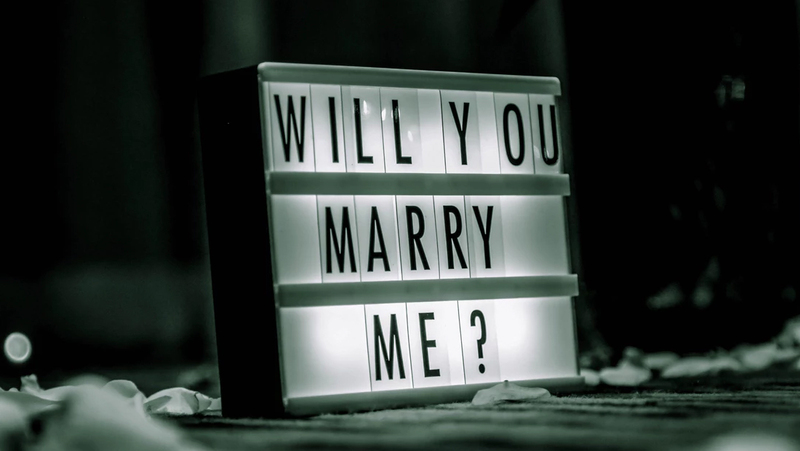 Most proposals which had gone awry appeared to have involved women saying the wrong thing at the wrong time, leaving a slightly deflated husband-to-be struggling and stumbling to save the romantic gesture. While men have a picture in mind about how they want things to go, women just like to be in control of what's going on, and clearly, we get suspicious when we find something out of place. That's how we always seem to say the wrong thing - trying to make us do things we hadn't planned to do. So if there's anything to learn from this, men: you can plan a proposal a million ways. But the biggest obstacle and threat to the perfect plan is not the ring, not the location, and not the words. It's the woman who controls everything with the last say - literally.